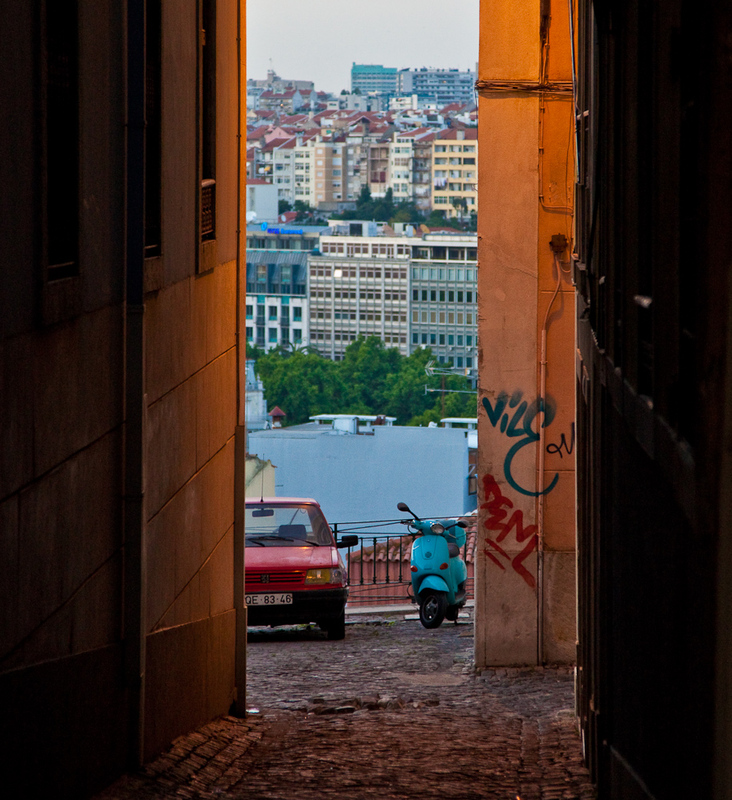 taken the other night around bairro alto. look here. how amazing to live in such a beautiful place! and just a wee little graffiti to keep it from looking completely fake. The photos are gorgeous. The green brick building! OMG. Amazing. Thanks for sharing. Good luck on your apartment/car/party/surf quest. I’ve just come to the the beginning of your blog which I came upon by chance. The beginning; as I began with reading your latest post, was hooked > read your next to last post, was further hooked and read your story in a backwards digression to your brave beginning. Every post, photo and video. I spent a few; “magical” what to expect, I’ve found searching the internet. Granted my “search” has been fairly casual, but the point, with reading deeply into your experience, your narrative, between the lines, asking my own questions and mining some answers; seeing your images (you’ve an excellent eye) showed me a great deal of what I was looking for. The obvious work you put into your blog was appreciated and I thought it correct to pass on my thanks with my wishes of success and happiness for you and e in Portugal. One thing I’ll pass on > during my exploration of the country I came upon, actually I smelt about a 1/4 of a mile before I saw what I was coming to, an unbelievable restaurant. As I approached the town, as I said, following my nose, the town sign introduced itself as: The Suckling Pig Capital of The World. I don’t know how it might affect you, but I couldn’t control the droll flowing out of the right side of my mouth. My heart was pounding! Driving down the Main Drag was restaurant after restaurant advertising glistening roasted pig.